“Sav” Adam Colton Clegg returned to his Heavenly Father on Wednesday, Jan. 16, 2019. Sav was born on Jan. 20, 1982, and was a lifelong Erda resident. Sav graduated from Tooele High School in 2000, where he participated in football, basketball, FFA and other programs. He continued his education at Southern Utah University. 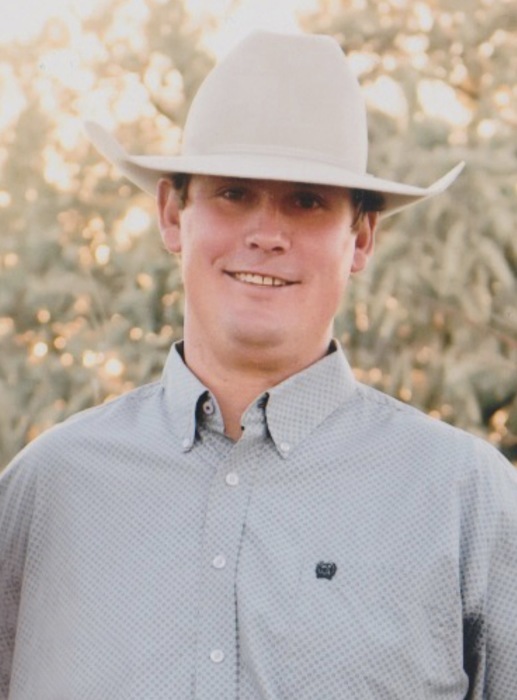 After a year, he transferred to Utah Valley State College where he joined the Rodeo Team. Shortly after in 2005, Sav married his best friend and true love, Heather. Together they enjoyed life traveling and hitting the rodeo trail, making friends everywhere they went. Through the years Sav continued his enjoyment being a pickup man in the family business, 7C Buckers. Sav was known for his talent with a horse and rope, from being a pickup man, a rancher and team roper. Any cowboy job or challenge that was too tough, scary or wild, Sav was the man to call. Sav fulfilled his life dream of starting his own business, Septic Savers. In 2013, their happiness grew as they welcomed Elzie into their circle of love. Sav’s pride and joy was his little girl. His enjoyments in life changed to Elzie as he loved watching her play soccer, do gymnastics, and ride horses. Sav’s fun, loving, genuine, loyal personality will forever be missed. Sav was always the entertainer and touched so many hearts, leaving a special place in the hearts of all those he met. There’s only one Sav! We will always love and miss your big smile, even bigger hugs and strong hand shake. Sav is reunited with his Dad: Bruce Clegg and grandparents: Howard and Zella Clegg and Don Talmadge. He is survived by his mom, Janice Clegg; daughter, Elzie; love of his life, Heather Clegg; siblings, Amie (Bret) Paulick, Wes (Heather) Clegg, Camille (Mike) Patch, Lareine (Craig) Baker, and Lindsay (Rion) Sundloff; Grandmother, Donna Talmadge; In-laws: Wade, Ruth and Jamie Christensen; and many aunts, uncles, nieces and nephews that he loved to have around him. Celebration of life: Tues. Jan. 22, 2019 @ Deseret Peak Complex 6-9pm. Viewing and Visitation on Wed. Jan. 23, 2019 @ 10am, Funeral Services immediately following at 11am at the LDS chapel on 323 E. Erda Way in Erda, Utah.